Truly unique opportunity in Meriwether Lewis school district on immaculate, private 10+ acre lot! Thoughtfully designed home w custom additions throughout both the informal and formal spaces; gorgeous workmanship on extensive builtins and cabinetry. Five spacious BRs and 3 full BA on 2nd floor and additional 1250 sf terrace level, w/ huge rec room, combo, & bonus room. Step outside to immaculate screened rear porch, and enjoy your outdoor oasis w/ huge front & rear yards, basketball court, terraced garden beds, gazebo, 2 sheds, & expansive rear patio w/stone perimeter wall w/lighting built in. An over-the-garage finished space offers many possibilities; in-law space, home office, AirBnB, etc. 10 sprawling acres w/1 division right. Directions: Barracks Rd West toward Whitehall. Barrack turns to Garth Rd until LEFT turn onto Lake Albemarle Rd. Follow Lake Albemarle Rd 1 mile, past Spring Creek Ln, then turn RIGHT into driveway; follow for .2 miles. 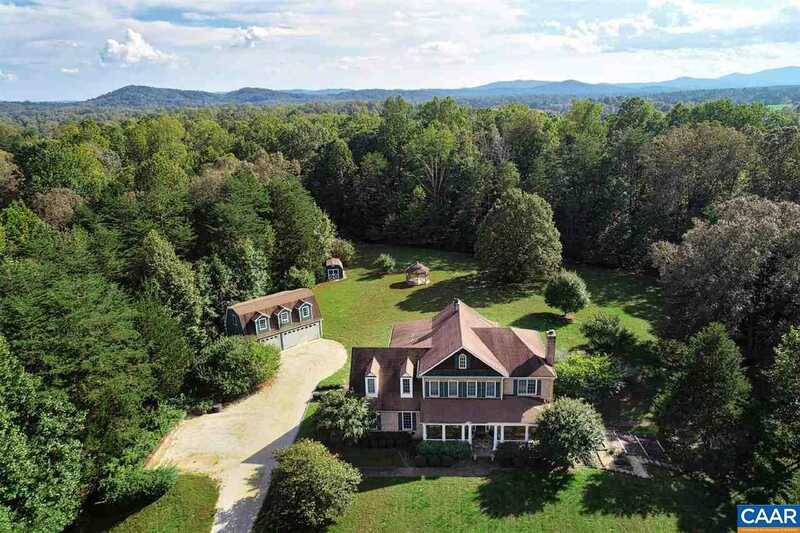 Please, send me more information on this property: MLS# 585819 – $995,000 – 2530 Lake Albemarle Rd, Charlottesville, VA 22901.